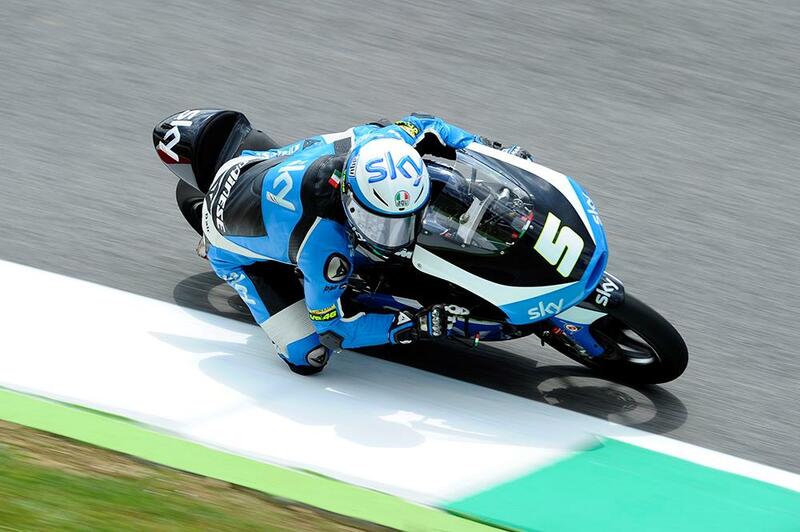 The Team Sky VR46 duo of Romano Fenati and Andrea Migno have taken a one-two on the grid for their home race in Mugello, after a series of penalties saw the grid for the race moved around. Second originally went to Francesco Bagnaia, but after he was judged to have exceeded track limits, he was bumped back to eighth, handing a front row start to surprise Argentina race winner Khairul Idham Pawi. 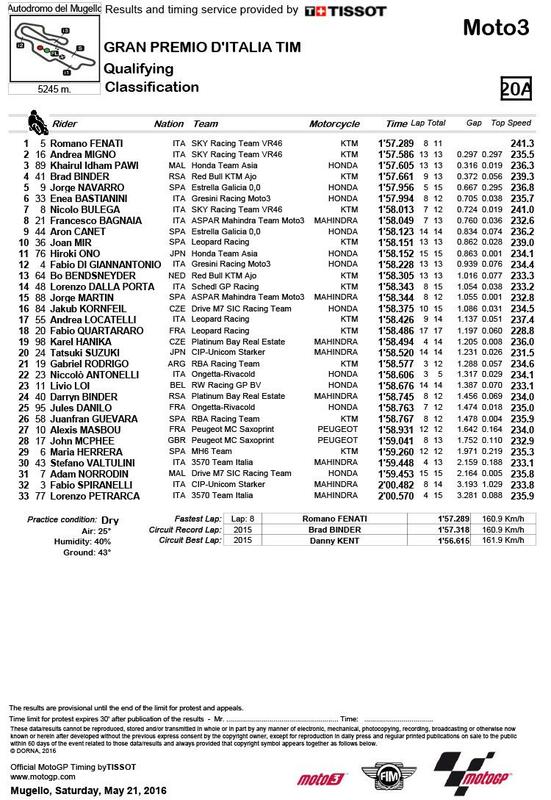 Championship leader Brad Binder was fourth, recovering form a fast crash in FP3, while Jorge Navarro and Enea Bastianini rounded out the second row. Scotsman John McPhee was a distant 28th, struggling on the slow Peugeot machine at the fast Italian track.